Beneteau’s management and the 350 dealers who sell the brand across all of the seas and oceans in the world, gathered together last July with Annette Roux to celebrate the 130th anniversary of the founding of the oldest shipyard in the world owned by a family majority. Founded in 1884 on the quays of Saint-Gilles-Croix-de-Vie, Chantier Beneteau has sailed through the ages and the generations, placing innovation at the heart of its development. In 19th century boats were called luggers, dundees, and smacks, all with sails, but for these fishing boats, performance was judged by who got back to harbour first, since the first there would sell his fish at the best price. For this reason Benjamin Beneteau would design the first engine-powered fishing boat in the region. He found no customers. Nonetheless, he became the boat’s owner. Agitator, he would call it Vainqueur des Jaloux (Conqueror of the Jealous). At the time, Croix-de-Vie, a large sardine fishing port, had ten or so sardine canning factories. The women believed that the engine’s noise would ‘frighten off the fish’, so they stopped work and waited for Benjamin with stones in hand. Lasting several months, this dispute came to an end of course, and Benjamin would call the second enginepowered sardine fishing boat he built La Paix (Peace). Then the Great War intervened. The boatyard would get underway again in 1928, and the time had come for Andre Beneteau, only son of Benjamin to take over. A fisherman had faith in him, and under the shed, he would draw and build his first fishing boat. On the day the boat was launched, the people were stunned by the elegance of this fishing boat. Then the Second World War came, together with the departure of a few companions. At the end of the war, the Boatyard would be back in full swing again for an exceptional period that would last until the 1960s. Andre would draw, design, and supervise the building of each vessel, following the performance – both speed and fishing – of his designs closely and, a huge luxury at the time, he would choose his customers. 1964 was the beginning of the sailing industry and time when Benjamin’s grandchildren Annette and Andre took over business. They also owe the luck to their father, who without thinking of ‘sailing’ for a second, had knowledge of a new material: polyester. His idea was to make dinghies for sardine fishing boats out of polyester, which he did in 1963. The 3.60 m sardine fishing dinghy became the Guppy, the 4.30 m one the Fletan, and the small 5.80 m tulip-shaped speedboat, the last boat designed by him, the Ombrine. Company’s first Paris boat show i 1965 was highly stressful because no other boat looked like Beneteau. Yet, only a few hours after the opening, three business men claime that this boats were what their customers were looking for and that no other builder wanted to build them. This is how, alongside the Guppy, the Fletan, Capelan, Cabochard, Galion, Forban, Kerlouan, Baroudeur 2 and Ombrine 3 were born: a full range from 3.60 m to 5.80 m. With financial stability in 1972, Beneteau was going to invest, first in the workforce, but also in first plant, which was modestbut really designed with semi-industrial production in mind. François Chalain became the operational manager of the Epoids site. Jean-Bernard was a businessman at heart, one of the best salesmen in Paris region. With him, the Beneteau network was build. A third man, specializing in polyesters, was Daniel Huchet. Then very soon a fourth: Andre Buchou, the first Human Resources Manager. Beneteau customers had learned to sail and they wanted larger boats, comfort on board, and to see the sea from the saloon. There is nothing harder than beginning a new range. This would be the Evasion 32, followed by the later Evasion 37 and Evasion 28 versions. At the same time, for the motorboats, the Ombrine would give birth to the Antares range, always designed by Andre. Company was offered the moulds of L’impensable, the boat designed to win the Half Ton Cup and which kept its promise. It needed redesign the sail plan, keel, interior layout, and shape of the coachroof with Andre Mauric, and it would be called the First. It became a legendary class. This was the boat that really open the way for export. The yard’s motorboating team entrusted Cees Van Der Velden with perfecting a catamaran with which he won the ‘PARIS 6 hours’ flying Beneteau colours. And the Flyer range was born. In yachting, it was the great Admiral’s Cup period and with partner Corum, new hulls and identified the best architects in the world. There would be the First Evolution, Lady B, and First Lady. 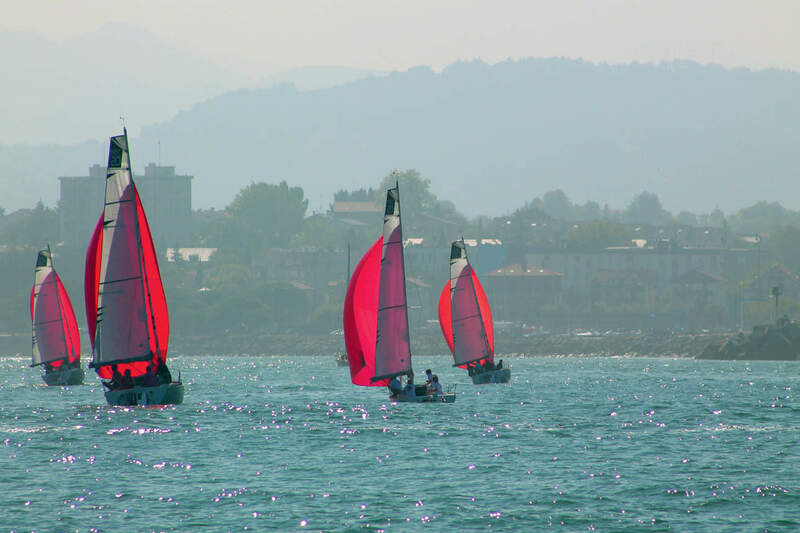 The First Class 8 became the first French one-design class, with nearly 1.000 boats competing on seas for more than twenty years. Then would follow the First Class 10 and 12. 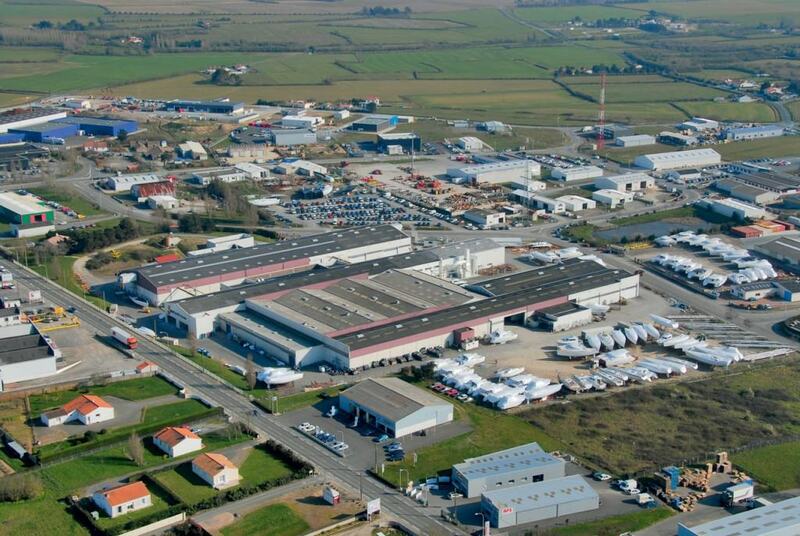 In 1985 Beneteau built first production site abroad, in the United States. In 1987 osmosis episode affected more than a thousand boats the world over and which had to be repaired. The range that would be affected most was the First, company flagship. Then François Chalain and Philippe Briand created the Oceanis 350 and then the 430. The success was instant. The production lines filled up again. Briand’s approach was unusual but he designed First 35 S, the first boat with two rear cabins. 1989 was the year of the first Figaro Class. The project presented by Beneteau won the competition and had the privilege of building these one-designs. In 1992, Beneteau carried out first external growth transaction – CNB created by Dieter Gust. CNB would manufacture the finest owner yachts in the world and Dieter would become one of the Group’s mainstays. In 1994, O’Hara was first diversification to soften the successive social shocks due to market downturns in the sailing industry. It was a small mobile home which would revolutionize the world of camping. Later, IRM joined and manufactured up to 14.000 houses a year. This same year, Bruno Cathelinais became Managing Director. In 1995, Jeanneau was second area of external growth. A chance to make peace with our long-time great challenger would be the high point in Beneteau history and probably that of the French sailing industry too. It was the coming together of two Vendee families and two companies faced with the same problems and which immediately spoke the same language. Together, they experienced the very strong market recovery and together they changed scale. In 1997, third external growth area was with Wauquiez but without success. 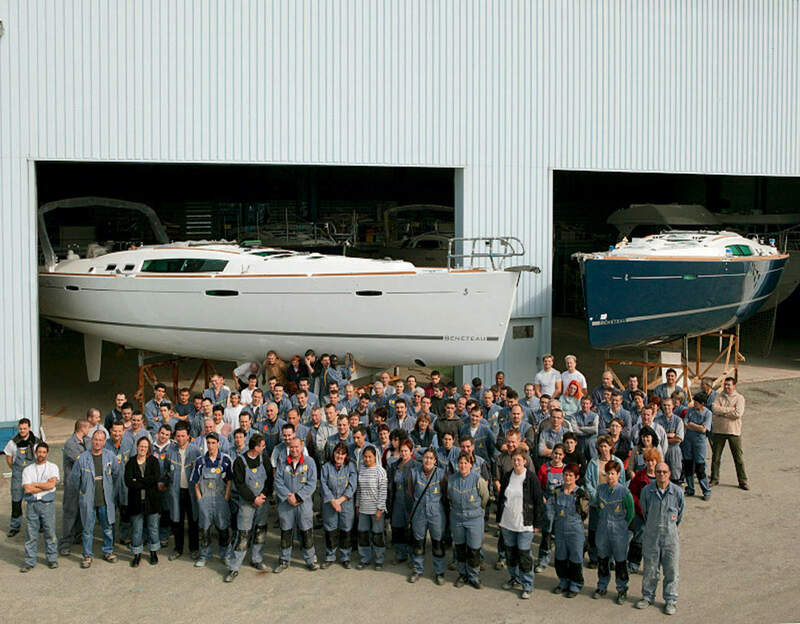 From 2003-2004 Beneteau Boatyard became Beneteau Group. For headquarters was chosen St-Gilles-Croix-de-Vie. It was time when was set up a real governing body for the Group to ensure its continuity in the future. 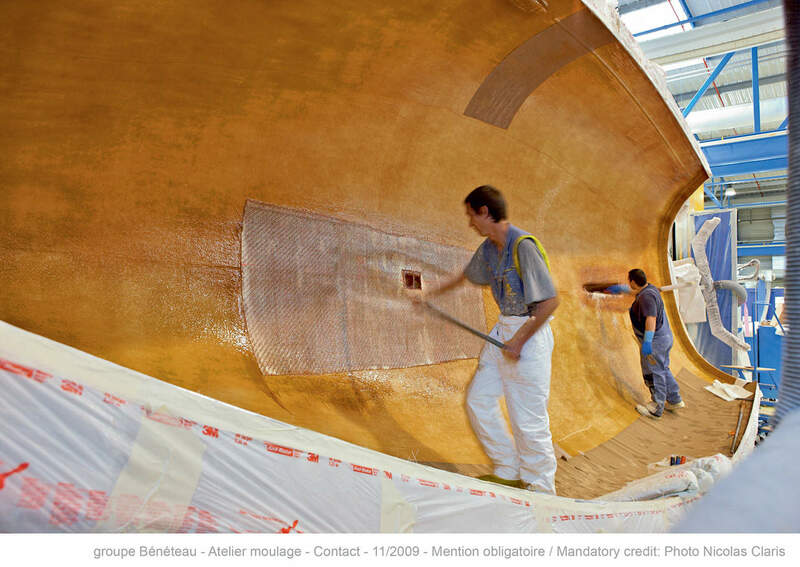 From the first fishing vessels that Benjamin Beneteau insisted on fitting with an engine, to the latest Monte Carlo or Sense, the path this shipyard travelled is all the more incredible as its original values of commitment, innovation, passion and human relations have constantly been respected and continue to live on today.